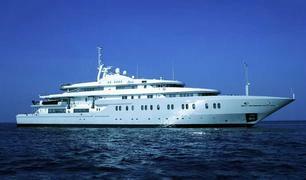 Jamie Edmiston at Edmiston & Company calls to say the the sale has been completed on the 85m motor yacht Alysia. Listed for sale at €85 million, Alysia was a joint central agency for sale with Peter Insull's Yacht Marketing and Burgess and the buyer was represented by Edmiston's Russell Crump. The superyacht is being renamed Moonlight II and will remain active on the charter market at a rate of €695,000 per week with Edmiston acting as charter central agent. Edmiston Yacht Management will be looking after the yacht's management.